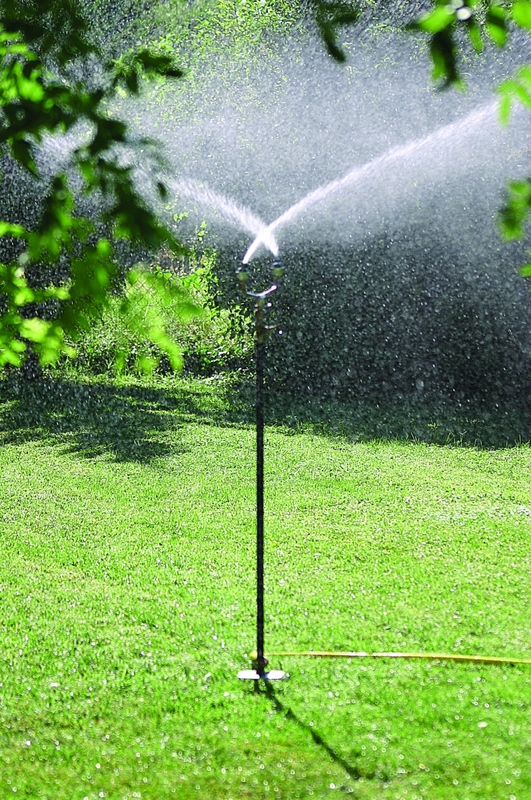 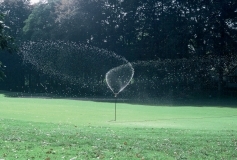 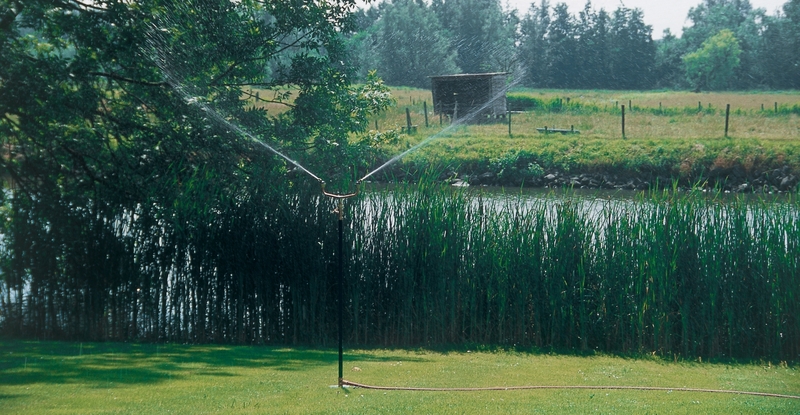 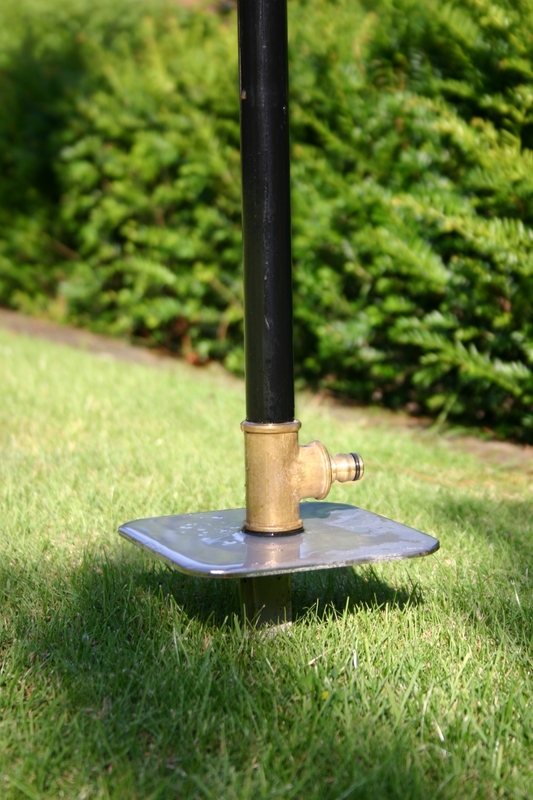 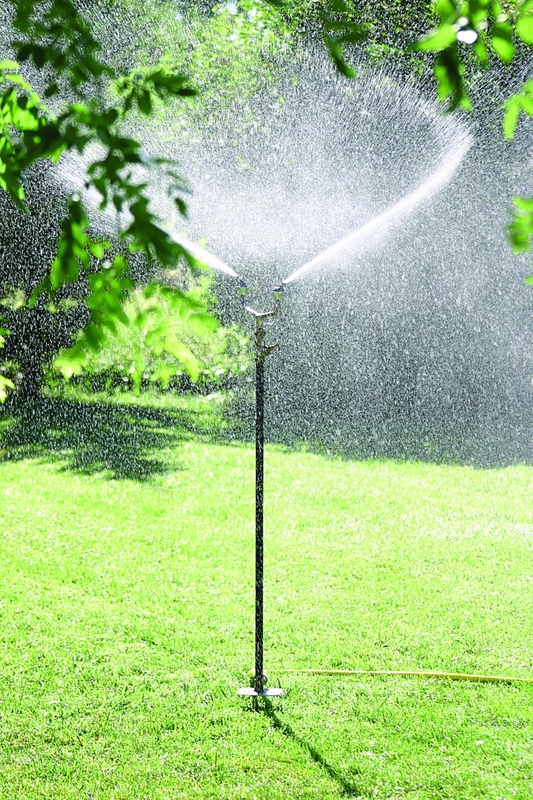 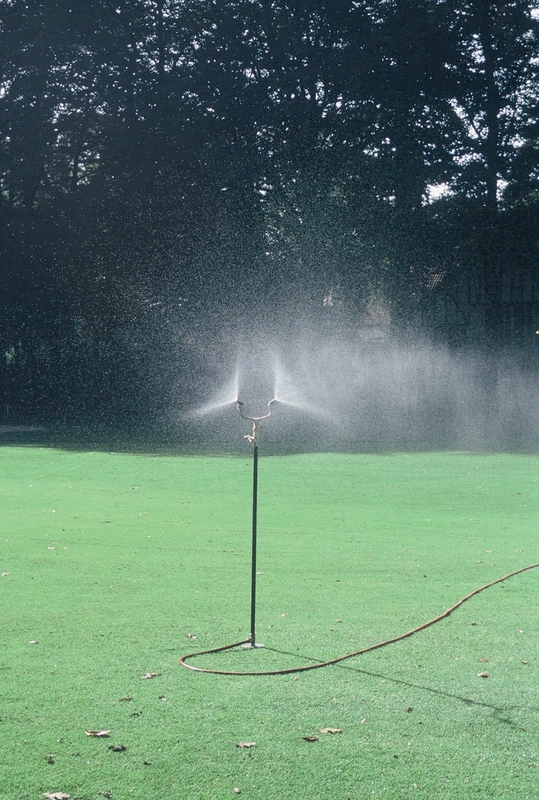 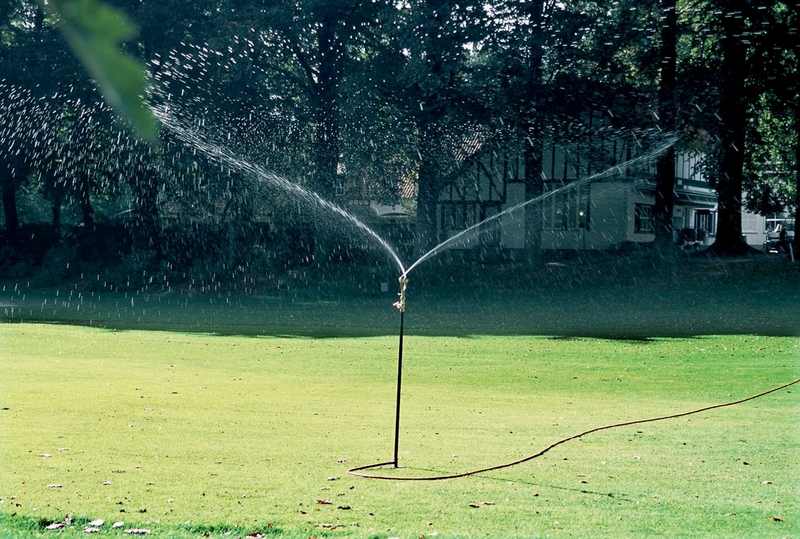 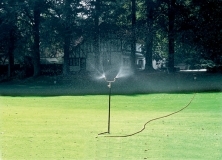 Propel’r is an elegant rotating sprinkler comprised of a galvanized and power-coated iron tube, a stainless steel spear and pedal and a rotating brass waterhead. 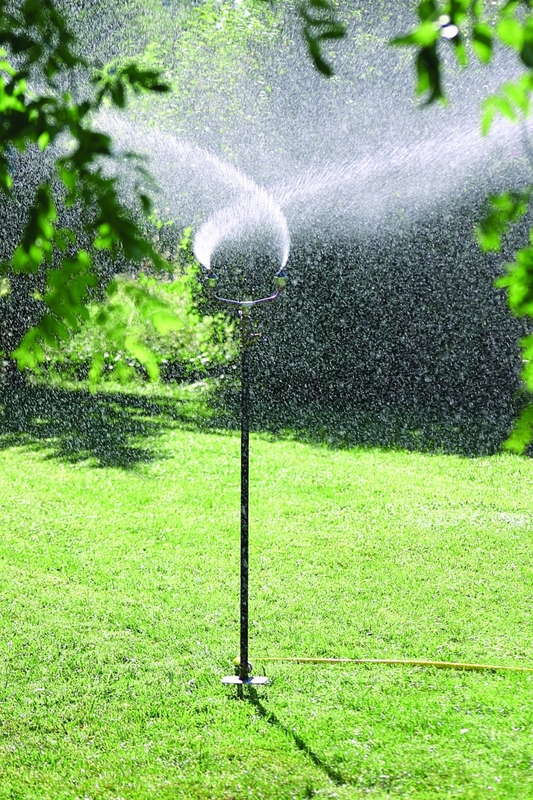 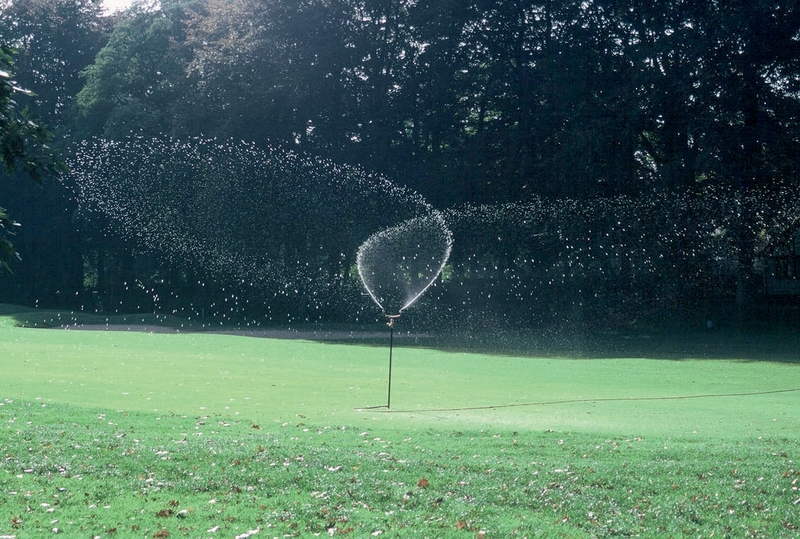 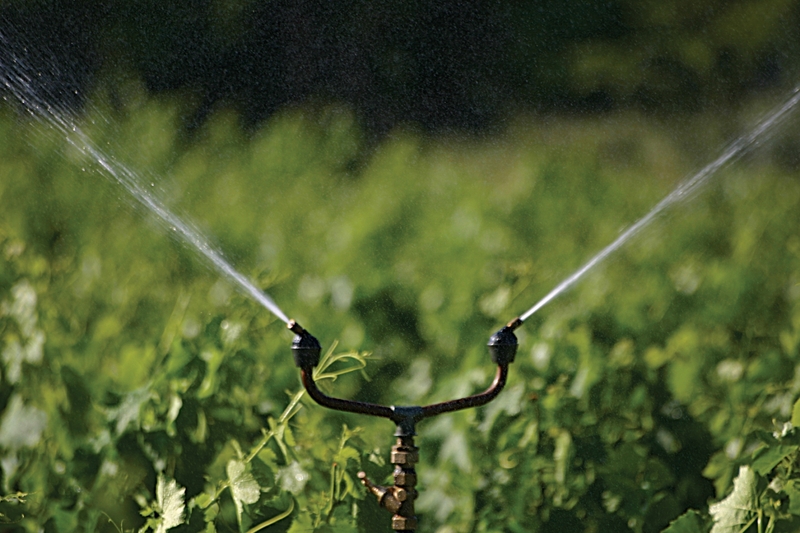 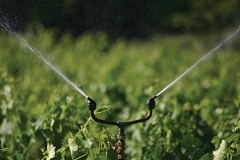 Select the right water pressure and output, then the Propel’r can be tuned for watering all kind of surfaces. 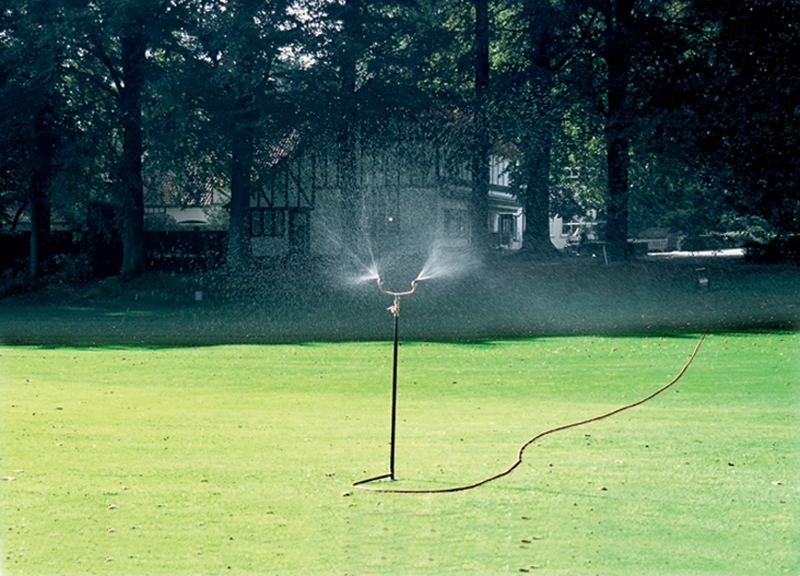 A water ballet ! Maximum range 300 m2 with 2.5 kg/cm2 pressure. 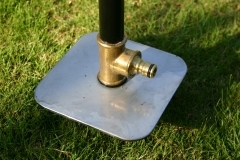 The spear & pedal helps you to firmly plant the Propel’r in lots of soils. 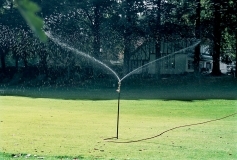 The Propel’r is also easily transformed into a garden shower by adding the upper section of the Show’r onto the base tube.